A while back I tried my hand at an apple cobbler. Having some cranberries in the freezer I decided to give them a try this time around. The prep was as insanely easy as before and the result was a tart, sweet, doughy goodness that was fantastic with a little ice cream. I think blueberries could work great as well, when they finally come back in season. I think next up may be looking at some other cobbler batter recipes to start figuring out the differences how this whole baking thing works. Melt the butter in a 9 x 9 inch baking dish. Mix together the flour, baking powder, sugar, and milk. Pour the batter in the baking dish over the butter. 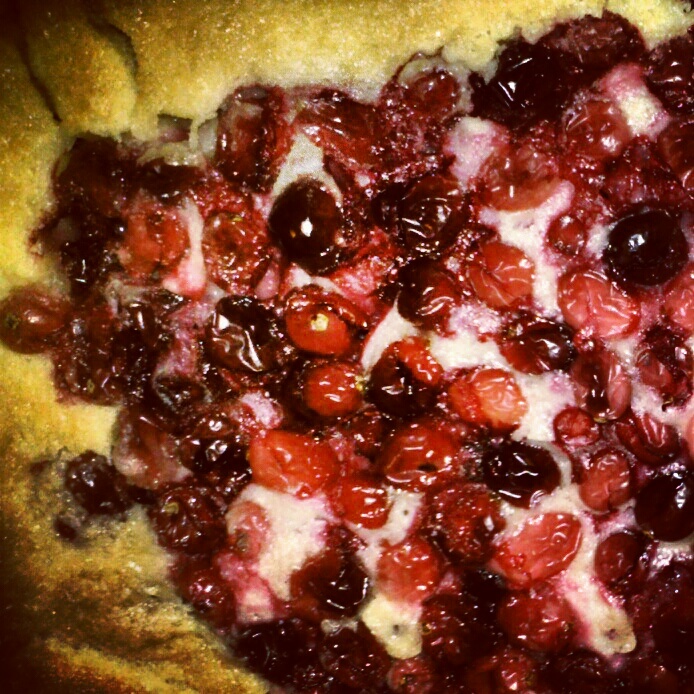 Sprinkle cranberries on top of the batter, do not stir. Bake for 1 hour or until golden brown.